Before Jonesboro, McBeth trailed Climo by $3,430.59. The stakes were just a little bit higher than normal in Arkansas as he had to get the W in order to pass Climo. With the win he has now out-earned the champ by a grand total of $79.47. Independent of amount, McBeth supplanting Climo represents a sea-change in the disc golf world. Climo has been the career cash leader since 1995 (a few years before Eagle McMahon was even born! ), when he overtook David Greenwell. 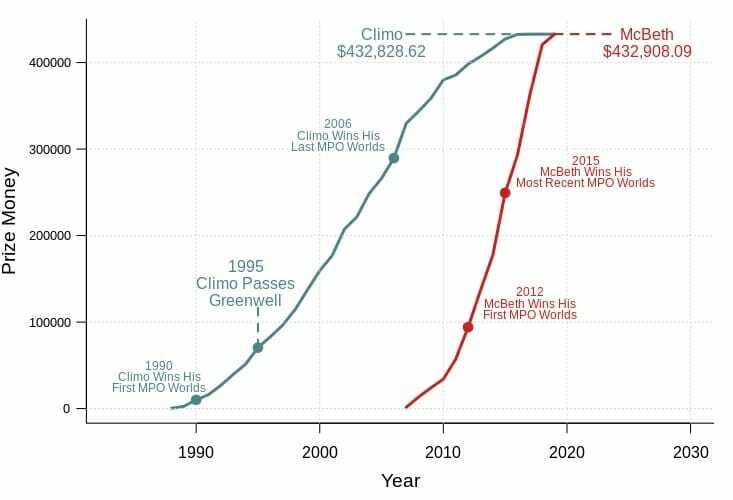 If you look at the plot below, you will see that both Climo and McBeth significantly accelerated their earnings the year before they won their first Open world championships, in 1990 and 2012, respectively. Climo did not slow down until after his final Open world championship in 2006. 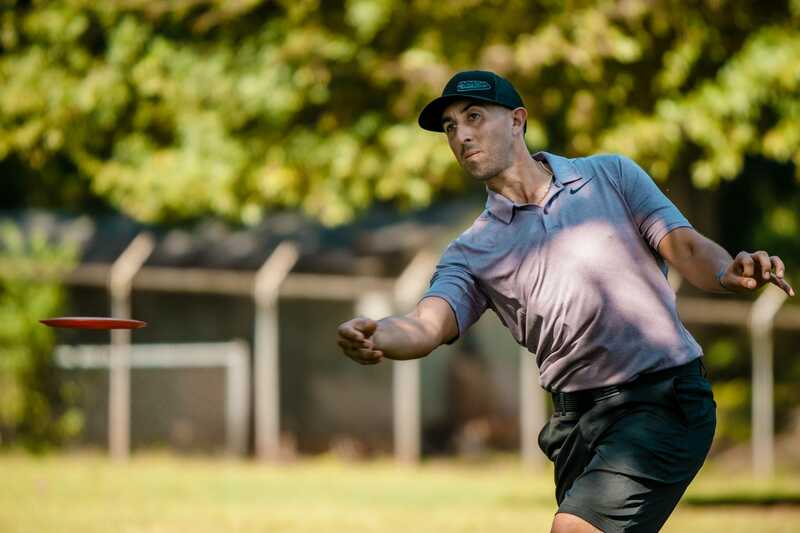 McBeth, in terms of money, has not yet slowed, which makes sense given that he is firmly entrenched in the middle of his career despite not winning a world championship since 2015. Accumulated career prize money by year for Ken Climo (blue) and Paul McBeth (red). The first and last (most recent) MPO world championships for each player are included as reference points. With payouts generally increasing and touring becoming a more frequent phenomenon, I wouldn’t expect Climo to last in the no. 2 spot for very long. Ricky Wysocki has over $360,000 in earnings and should pass Climo in a year or two, while Paul Ulibarri has a chance, as well, but is farther back at a little over $270,000. One more thing. Not to be a wet blanket, but I would feel remiss if I didn’t briefly address the role of inflation in this comparison. Climo earned a lot of his money 20 years before McBeth earned a large portion of his, and over those 20 years the value of a dollar has changed. When I control for inflation,2 in 2019 dollars McBeth is still over $89,000 short of Climo. But given the steep slope of McBeth’s career earnings curve, he should comfortably pass Climo in a few more years. McBeth was also able to reach the career money mark over 114 wins at 313 events, compared to Climo’s 223 wins over 456 events. Inflation or not, McBeth should consider this milestone a big feather in his disc golf cap. It is quite a feat to pass the legend of a sport in any meaningful statistical category. 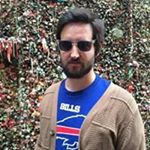 Comments on "McBeth Passes Climo To Become All-Time PDGA Money Earner"